Home > Baby Deals > Pampers Diapers & Easy Ups – $1.49 a Pack at Kroger! Pampers Diapers & Easy Ups – $1.49 a Pack at Kroger! Now through 5/6 you can snag a sweet price on Pampers diapers and Easy Up training pants at Kroger!! I know this is a brand that many of you will only use, so don’t miss your chance. 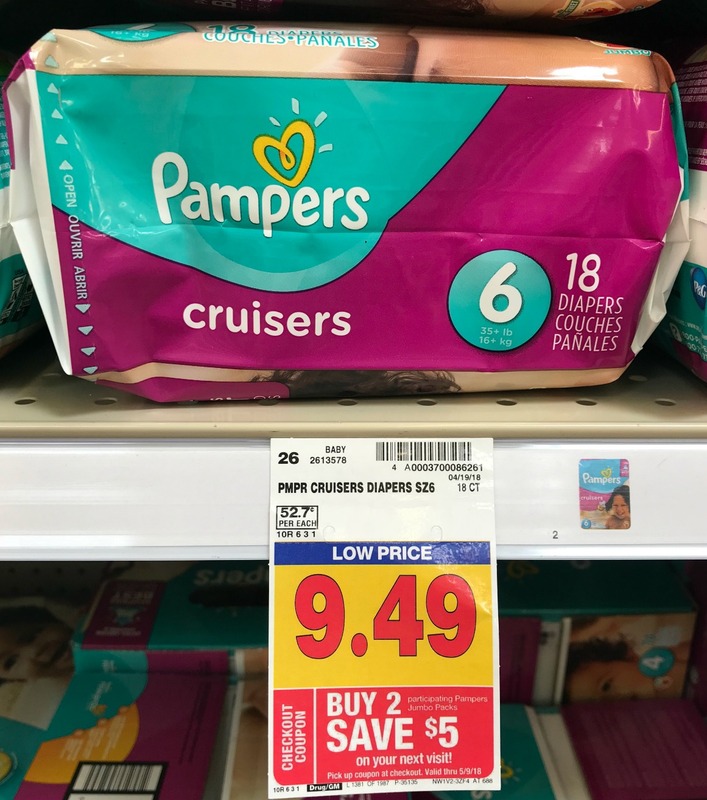 Kroger is running a Catalina offer on Pampers, that you will get $5 off your next purchase when you buy (2) Pampers Jumbo pack diapers or training pants. Plus there are high value $4 off Pampers Kroger eCoupons out. –makes it $2.98 for both, or $1.49 each! Note: You’ll only get one $5 coupon per transaction, so if you want more you need to buy them in multiple transactions. See all the other deals at Kroger this week!